Our auto mechanics at Complete Automotive are the leading choice for Chrysler service and repair in Springfield. With a commitment to the safety and well-being of not just your Chrysler, but to the entire community of Springfield, you can expect to receive trustworthy and courteous service. For an auto repair shop that sincerely cares for you and your vehicle, Complete Automotive is your best bet. We recognize just how much you rely on your Chrysler, whether that means racing to get to work on time or carpooling to your daughter’s soccer game. That’s why, at Complete Automotive in Springfield we take measures to ensure you can continue to rely on your trusty steed, otherwise known as your Chrysler. Our auto mechanics are enrolled in continuous training programs, wield top-of-the-line tools and technology and adhere to a strict code of ethics. 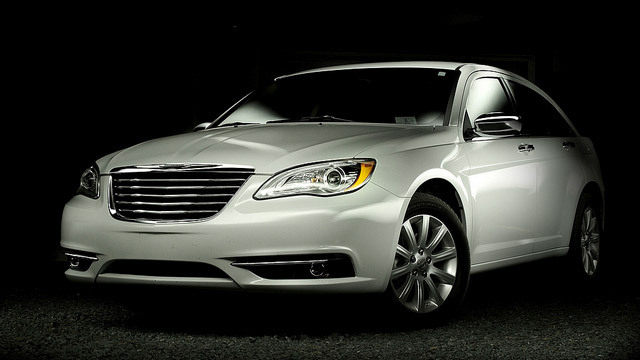 We stand behind our auto repair for your Chrysler with a nationwide 3-year/36,000-mile warranty. “Complete Automotive was great and really took good care of me. One of the owners Maureen drove me to class and back because my car was going to take awhile to get fixed. I have never had someone in the service department do that. I will only go to Complete Automotive from now on. The people are very nice and they go the extra mile for their customers I am very thankful to them!! Everyone should go to them!” -- Kelsey P.
At the end of the day, our team at Complete Automotive in Springfield genuinely cares about you, your family and your vehicle. Each auto repair we recommend is geared toward preserving the safety and longevity of your vehicle. From a minor oil service to a complex transmission repair, we are the ones you can count on. For Chrysler service, schedule an appointment online, call us, or stop by our auto repair shop at 2238 E. Chestnut Expy. in Springfield, MO, 65802.